We start our puppies and mothers with Royal Canin’s high quality Mother/Puppy food meant just for nursing moms with little pups. The kibble is small and easy to eat and has lots of nutrition! The pups love the taste and texture. It gives them and mom a soft, silky coat. We send our puppies home with a small sealed bag of Medium Puppy food and a booklet of coupons to get you started. We will sign you up for continued promotions unless otherwise requested. Royal Canin puppy food is readily available in most pet stores and vet clinics. 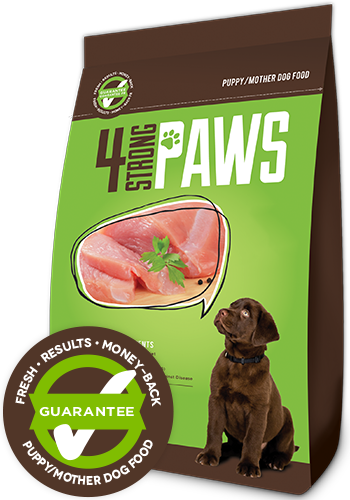 We also promote 4Strong Paws Puppy food. 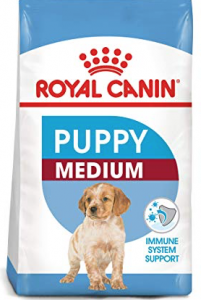 We add a little bit of this kibble into the Royal Canin baby puppy food. This is a healthy choice with lots of natural, organic ingredients. You can order this food online and have it shipped right to your front door. You can even go on automatic shipping so you never have to worry about running out. We have an online coupon below that you can use for your first order to get a $5 discount. We will send your puppy home with a mix of the Royal Canin puppy food with some of the 4Strong Paws – this gives you the option to go either way, or merge into your own choice of high quality food. 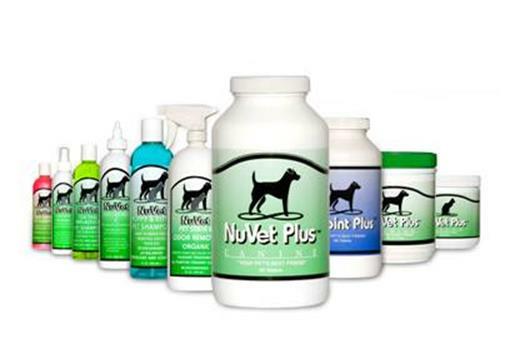 We also offer NuVet Plus Vitamins for our puppy customers! This is an excellent boost to your future pups immune system. It helps them in their first years as they develop. We double our health guarantee when you sign up with our NuVet Vitamin Program. Use the coupon code 69473 to enroll for your extended warrantee. Canadians must call in 1-800-474-7044 to place your order. Sign up for their automatic shipping and you will get another discount and be hassle free! 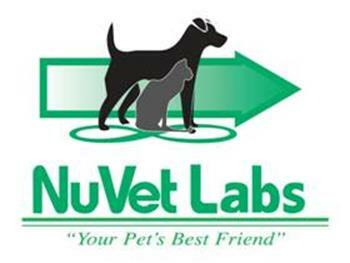 Visit NuVet Labs Website for more details.